Send us a message on our facebook page here or contact us here to place your vote! Every vote counts, so pick your favorite and let us know by October 17th! Fall is just around the corner and we can already feel the chill in the air. Ghosts and goblins will soon be roaming around, begging for treats. 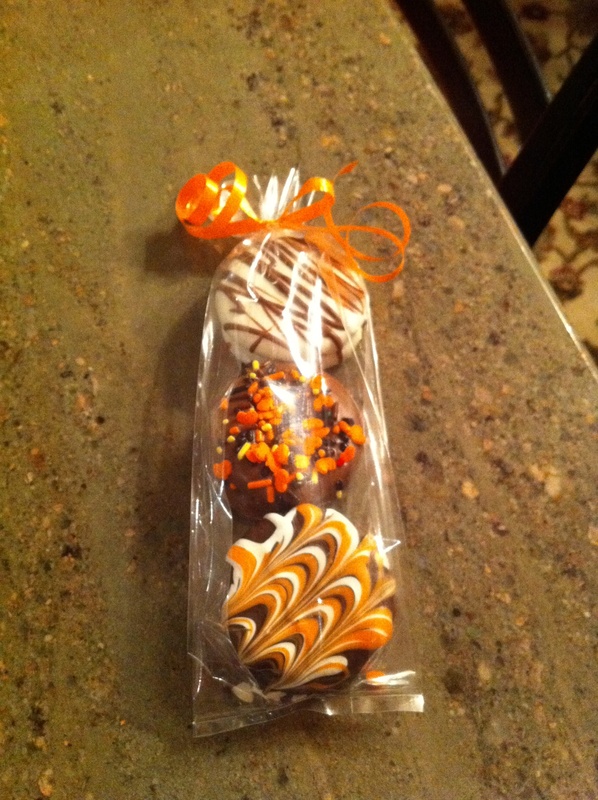 Special for this season we have Chocolate Covered Caramel Apples, Marshmallow Pops and Pumpkin Spice Truffles*! 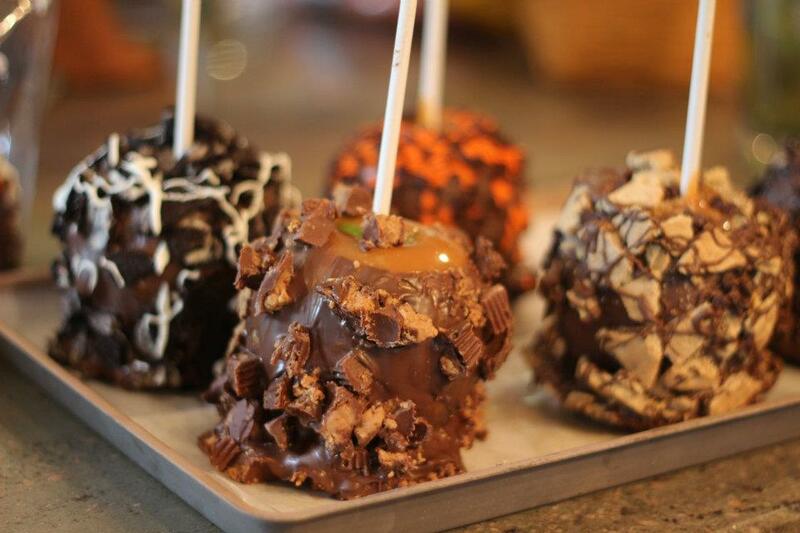 Crisp Apples dunked in thick, chewy, caramel, enrobed in chocolate, and covered in your favorite toppings, and Halloween themed toppings. Delicious Moon Pies enrobed in creamy milk chocolate. BOO! 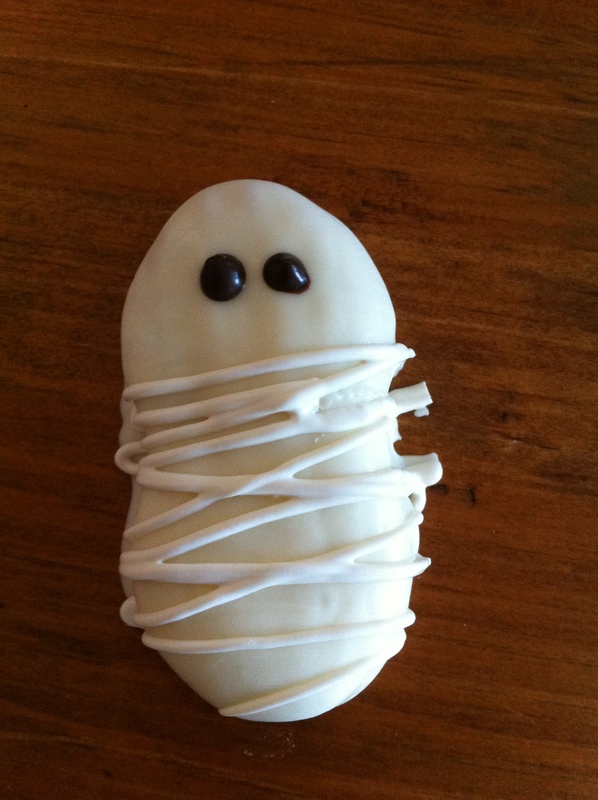 White Chocolate Covered Mummy Nutter Butters. And of course all of your favorites decorated for spookiest of holidays. 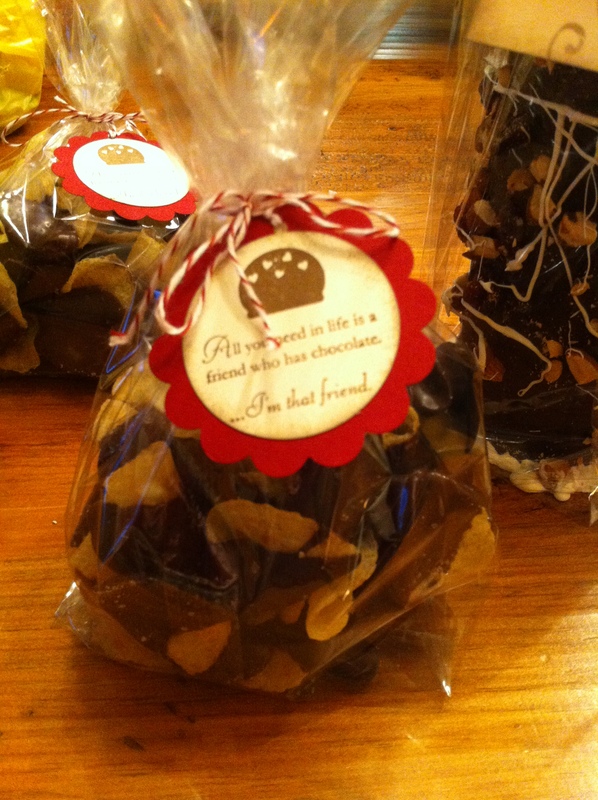 It’s Treats for all at Point Pleasant Sweets!! Place your custom order by October 8th here, or pick some up at The Pastry Chef and the Vincentown Diner. 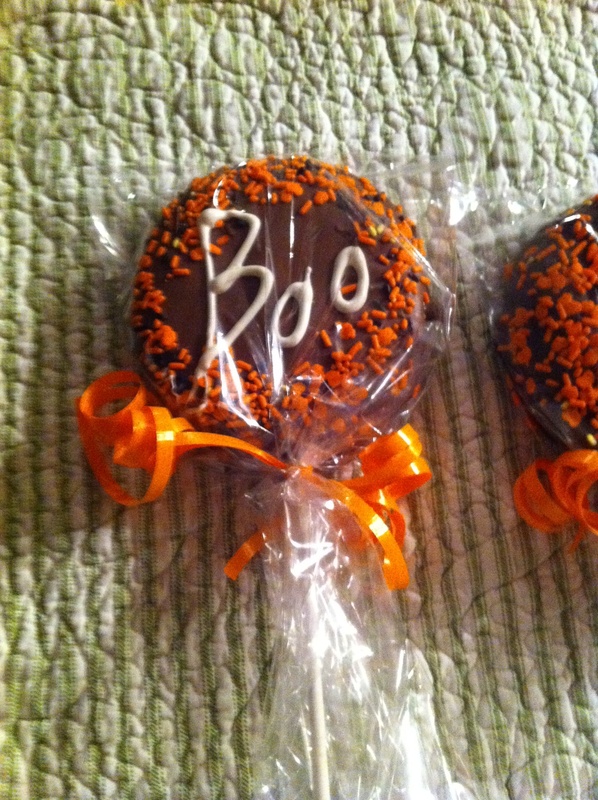 *Pumpkin Spice Truffles will only be available via custom orders due to perishability. 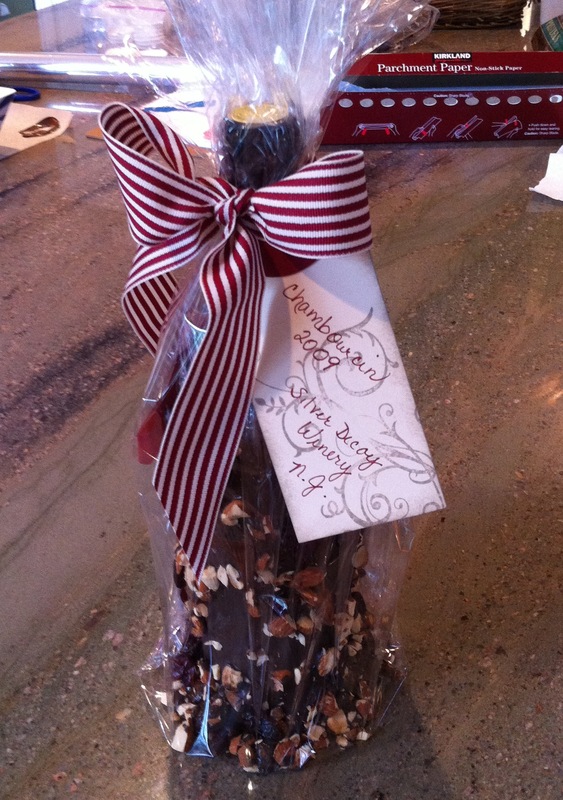 Devil Dogs ® enrobed in a generous amount of chocolate with an edible pretzel rod handle. Delicious, yes, but what should they be called?? We want you to decide! From now until September 20th we will be taking submissions via our Facebook page and pointpleasantsweets.com. Give us your best, most creative name for these sweets and you could win a custom order of 6! The rules are that the name cannot have both devil and dog in it (you can’t use any other copy righted names either!) and the entry must be in by September 20th. You can enter as many times as you want. The answers will be narrowed down to the top 3, and then our Facebook friends make the final call! Enter even if you aren’t local; we will ship the prize to you! 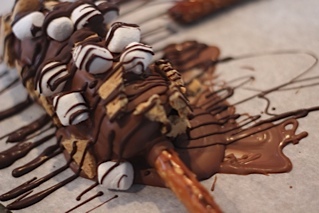 S’mores- Devil Dogs ® with a pretzel rod enrobed in Milk chocolate and topped with marshmallows and graham cracker pieces. PB Chip- Devil Dogs ® with a pretzel rod enrobed in Dark chocolate, topped with peanut butter chips and a peanut butter drizzle. 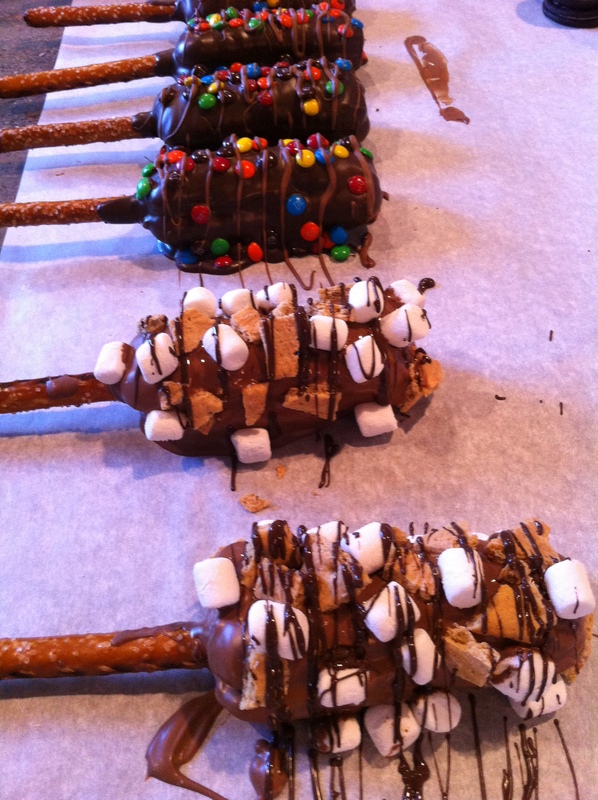 M&M- Devil Dogs ® with a pretzel rod enrobed in Dark chocolate, topped with M&M’s and a Milk chocolate drizzle. Simply Decadent- Devil Dogs ® with a pretzel rod enrobed in your choice of Milk or Dark chocolate with a white chocolate drizzle. What could be better, than perfectly ripe, sweet, summer berries? Well, they could be covered in chocolate! 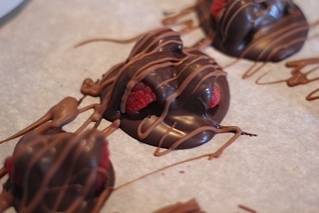 Chocolate Covered Strawberry, Chocolate Covered Raspberries, and Dark Chocolate Covered Black Berries with Milk Chocolate Drizzle. Also available are: Chocolate Covered Bananas, and Chocolate Covered Blueberries. 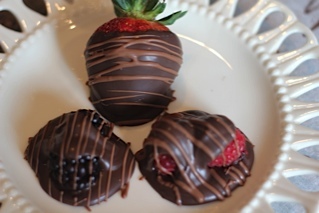 These summertime sweets are available only during the summer for fresh seasonal fruit, and only by special order. Visit our How To Order page to get yours! Are you a Devil Dog® deprived youngster? Or maybe you are just young at heart craving a treat with a bit of nostalgia? Our latest confection, offers a solution either way. Devil Dogs® enrobed in a generous amount of milk or dark chocolate, available in a variety of toppings. 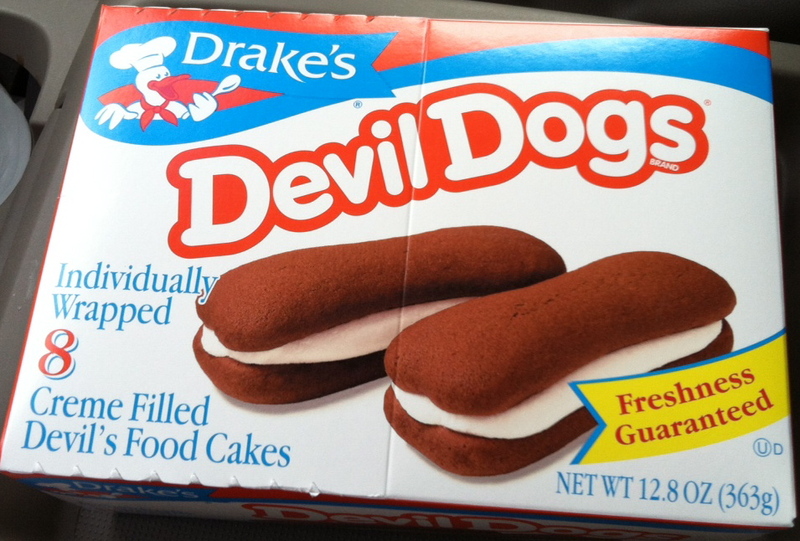 When we started working on these, we could not believe how many under 30 year olds had no idea what a Devil Dog® was, and frankly we felt sorry for them. Now we have a new dog for a new generation, and for those who savor the flavor of their youth. 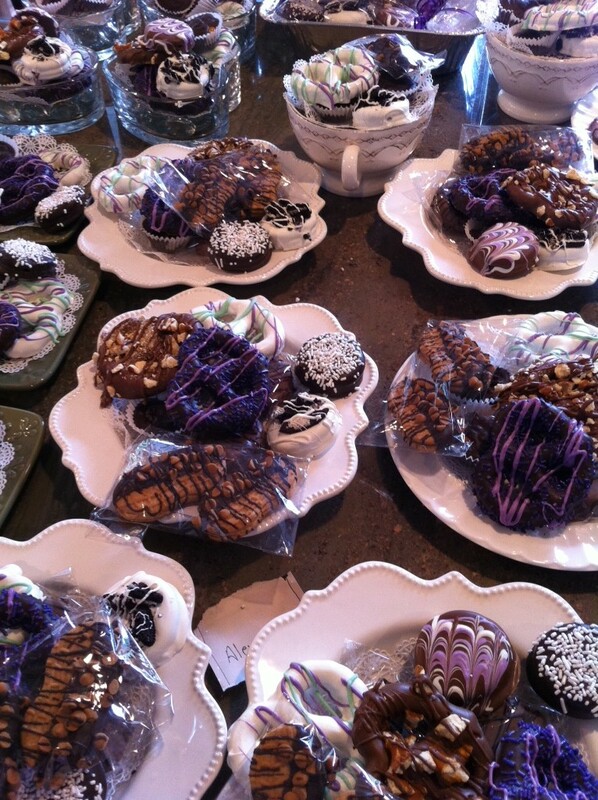 Stay posted for a naming contest for these sweet treats, and a chance to win your own custom order! 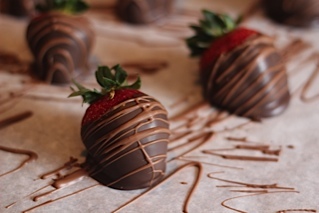 The chocolate and wine pairing event at Bay Head Wine & Cheese is this Saturday, June 23rd from 4-6 pm! The featured wines are Chocolate Box Cabernet Sauvignon 2009 and Chambourcin 2009 by Silver Decoy, a local NJ winery. Watch how we make our unique chocolate covered wine bottles. Sample some of our delectable chocolates and see for yourself the ways the rich sweet flavor complements the flavors of the wine. There will be packages of each item available for purchase, including our most recent chocolate confections: Chocolate Covered Potato Chips and Chocolate Covered Chili Doritos! Sweet and savory, crunchy and creamy, surprisingly delicious and crave-worthy. See you Saturday for a fun afternoon of Wine and Chocolate! On Saturday June 23rd, from 4-6pm, come to the Bay Head Wine & Cheese for a special treat! 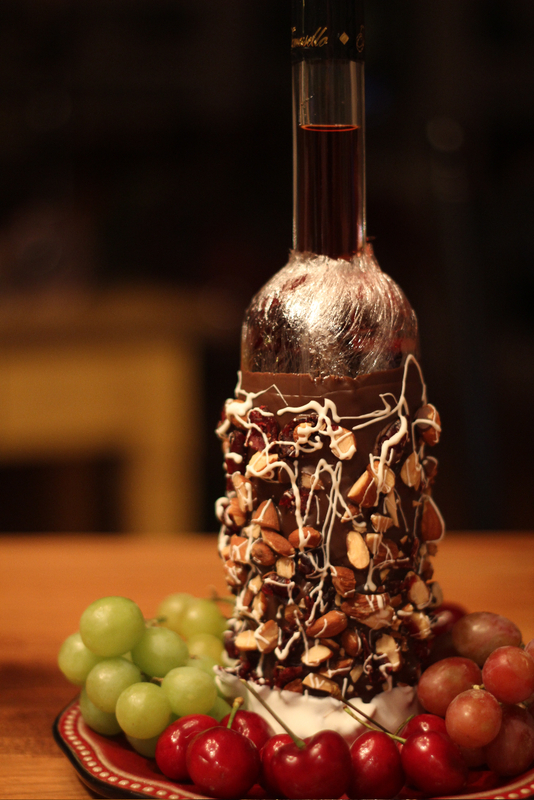 Watch how our delectable Chocolate Covered Wine Bottle is made and sample our chocolates paired with wines expertly chosen to complement them. Bay Head Wine & Cheese is located at 91 Bridge Ave. in Bay Head, NJ.